The other day I got a Spam e-mail. This is very different from a spam e-mail, it's an e-mail about the actual product Spam. This used to be pork in a can, I'm guessing as a preservative measure in wartime or similar. Nowadays this just means that they don't have to put all the artificial stuff in that other foods do. Technology moves on though so it now comes in a lovely plastic tub, which is similarly air-tight but a lot lighter, easier to open and carry. Result! As with most technological advancements there are indeed downsides - in this case that it sounds like the little posh cat-food containers. No - sorry Mabel this isn't for you. 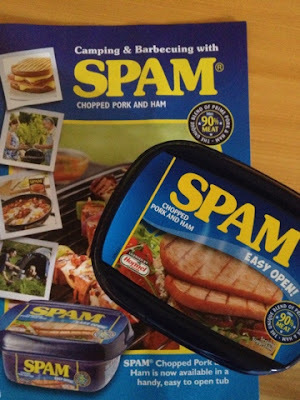 My persisting memories of Spam first come from my Nanny - or my Dad's mother if you will. At parties at her house one of the meats on offer was this salty pork stuff, neatly sliced and ready to add to the plate. At that age I didn't really know what it was but I enjoyed it. 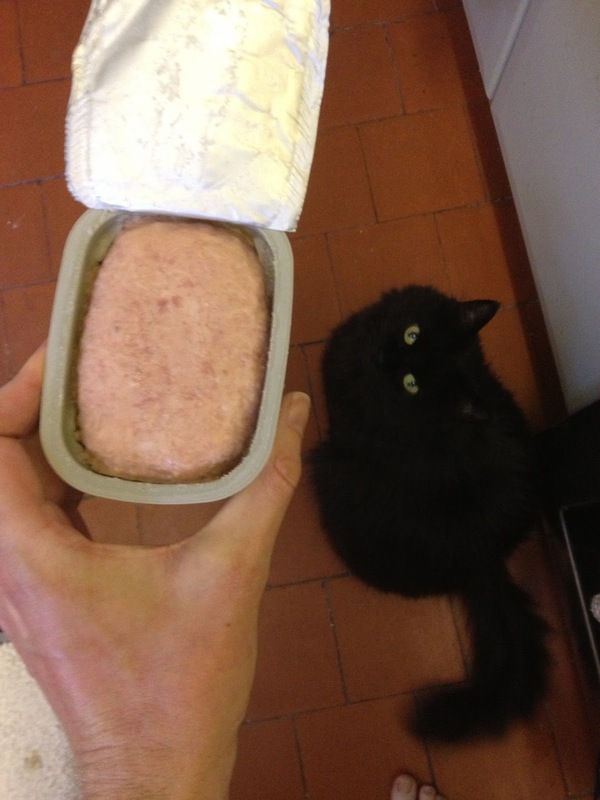 At home we tended to go for corned beef, which I have grown to dislike as a result. This instead brought back pleasant and happy memories. 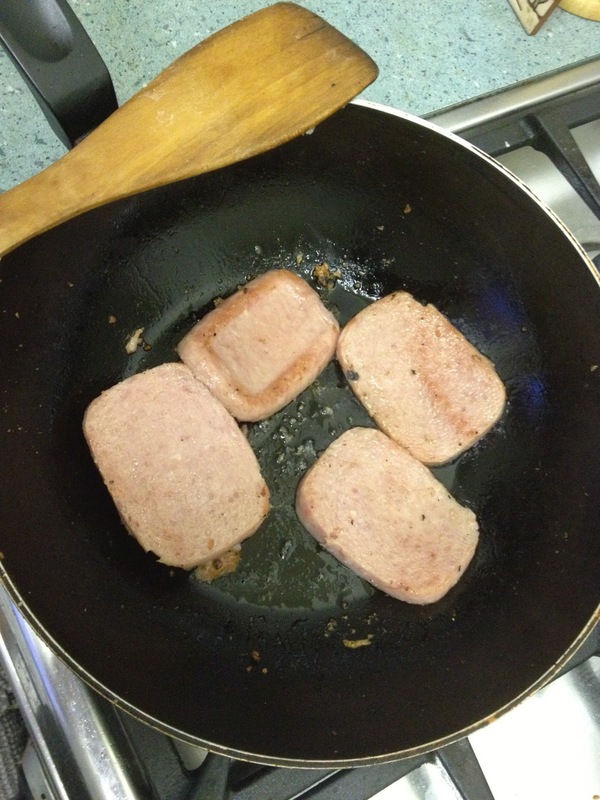 I decided to slice it into four and to make Spam fritters. They browned nicely and the smell was quite appetising, and they produced enough fat to fry properly but not so much that I questioned the nutrition of these. I added them to pasta with a little lemon pepper. 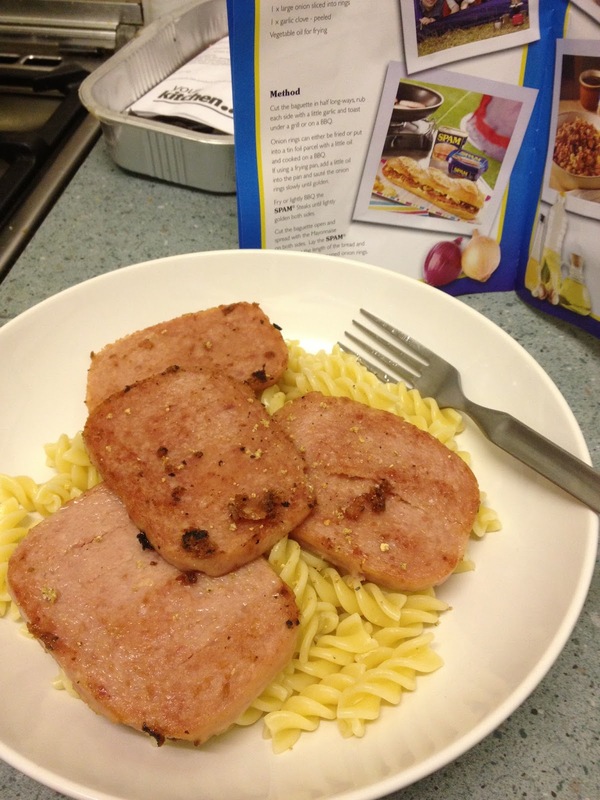 I was a little anxious about the taste but other than a slight saltiness (similar to bacon) this was all good. I really enjoyed it and the superb shelf life means this is something that I can hide away for meaty days when my veggie partner is away - or just add some of this to veggie meals to add yum.